Children can be pretty reckless and restless. For them, everything is a matter of curiosity and this curious mind leads to many experiments. While this is all a part of the learning process yet it might become dangerous sometimes, especially if these experiments happen in a lab. A kid is an adult of tomorrow. So, developing their scientific temper is essential. Their inquisitive fervor also goes well with this experimental science learning. They would like to test and question every statement and hypothesis. Quite a detective who believes in evidence alone. However, in their pursuit of answering this curiosity children often go haywire. It’s during those times they need guidance and adult supervision. Now, since we are unable to accompany them in all of their experiments, it is important we underline some basic safety procedure. Some ways to keep them safe under the lab atmosphere. An undeclared rule of the laboratory is to come prepared. Preparation doesn’t mean learning stuff alone, it means knowing the correct way of implementing them. In a way that will cause no damage or minimal damage. The right way of implementing things starts with being equipped with your science gear. 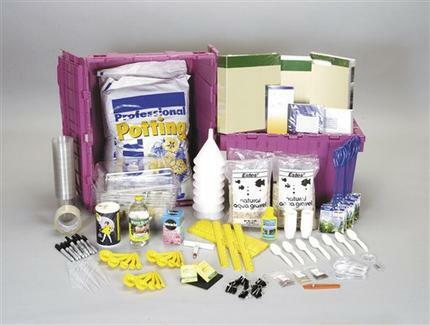 Laboratories, generally come with all the essentials required for an experiment but certain things like a science kit need to be carried individually. Science kits usually come equipped with various things like test tube holder, slides, test tubes, needles, scissors, scalpels etc. It can even have science mugs and science bottles. The next point that comes to mind when we think of kids in a laboratory is adult supervision. Children should be strictly prohibited from entering the lab without the presence of a well-informed adult. This is essential to ensure that they remain safe from any kind of harmful chemicals and reagents found in the lab. As we know a laboratory is a dangerous place to play around. You need to be extra cautious and vigilant here. Laboratories are strictly meant for experiments and kids should be advised to stick to that. No amount of running around, playing, eating, mobile phone interaction should be allowed here. It is essential children are taught this at the first instance itself and then allowed to enter the lab. Laboratories are governed by certain rules and decorum. Kids should be taught about this basic safety procedure at the very onset. We need to articulate the importance of learning and understanding of the safety procedures. It is only when they understand the importance of following the procedures, then they abide by it. So, children should be made aware of the basic safety procedures for wearing lab coats, gloves, goggles and other protective gears. Also, they need to follow the exact protocol of doing things and don’t experiment with the ways. The written instructions for experimentation are the exact way of doing things. They can question or inquire about their utility and whereabouts but can’t misuse them. A foremost way of experimenting is doing your research properly. This research is the knowledge of things used in the lab and the things you need in your experiment. So, knowing which equipment is used for what purpose is essential. You simply can’t work with things like bacterial media and cell culture without knowing the use of storage bottles, vacuum bottles, Petri dishes, filter paper etc. Being knowledgeable about the experiment and the safety procedure isn’t enough. You need to deal with the mess created after that. Lab experiments are just like cooking. You need to clean up after it’s done. However, just washing the utensils and dumping waste in the garbage won’t help here. You are dealing with potentially harmful toxic chemicals and substances. Disposing of them requires special equipment like a safety drum, waste disposal can, zero waste box, containers, collection centers. Hence, it is paramount are made aware of this at the beginning itself. Lastly, kids need to maintain the order of the place and put the things in their exact spot. This might not seem a big deal but it is, especially in a lab. Ensuring that things are properly marked, labeled and put in their respective place helps in avoiding accidents in the lab. So, we should be instilling the importance of this practice before they enter the lab. This entry was posted in Childcare, Parenting Tips and tagged childcare, india mother blog, Indian Mommys Blog, Indian Parenting Blog. Bookmark the permalink. Nice observations and practical solutions!